TRULY SQUARE- These cube storage bins are actually cubes! 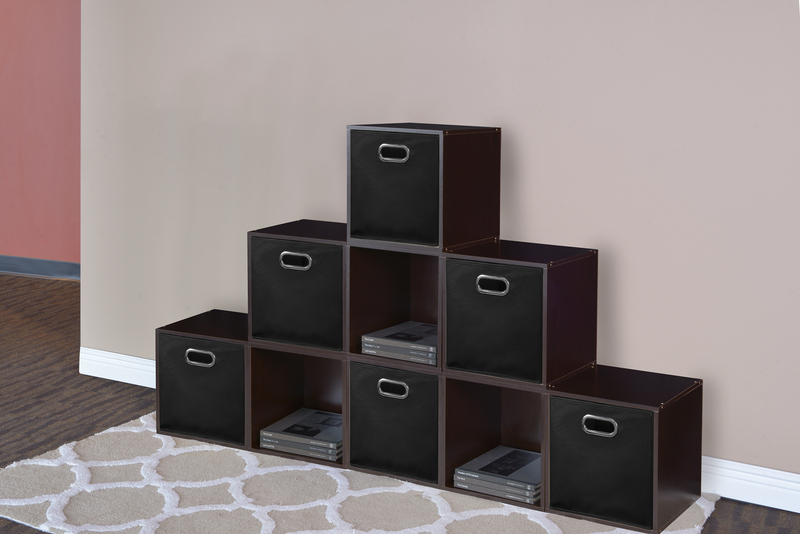 Measuring 12 x 12 x 12, these bins integrate seamlessly into Niche Cubo storage cubes. They can be used in any direction- there is no right inch side to face front because all sides measure the same! These are very large for cube storage - 12x12x12. I ordered them for a shelf yet to be purchased and ended up buying a ClosetMaid shelf, which had slightly smaller cubbies, so I'm purchasing a new set of bins from a different manufacturer but will be keeping these for future storage needs because they are very large, the quality is good, and they were a great price ($16 for 6). Home territory searches the web to find the best prices and availability on Home Storage Bins and related products foir your home like Niche Cubo Foldable Fabric Storage Bin, Set of 6- Natural. For this page, related items include products we find that match the following keywords: "Storage Bin" at our vendor partner Walmart - Click More Info / Buy Now to check for price rollbacks!. Niche Cubo Foldable Fabric Storage Bin, Set of 6- Natural is one of 23 Home Storage Bins and related products available for sale through HomeTerritory.com, If you have any questions on this product, please give us a call at 734-971-1210 during the hours of 9am - 5pm EST for assistance. Thank you for shopping at Home Territory, the home furnishings superstore!